ICompete, in partnership with Palatine Park District and Partners for Our Communities, presents Golf 4 Kids, a family friendly fundraising event, on June 25. 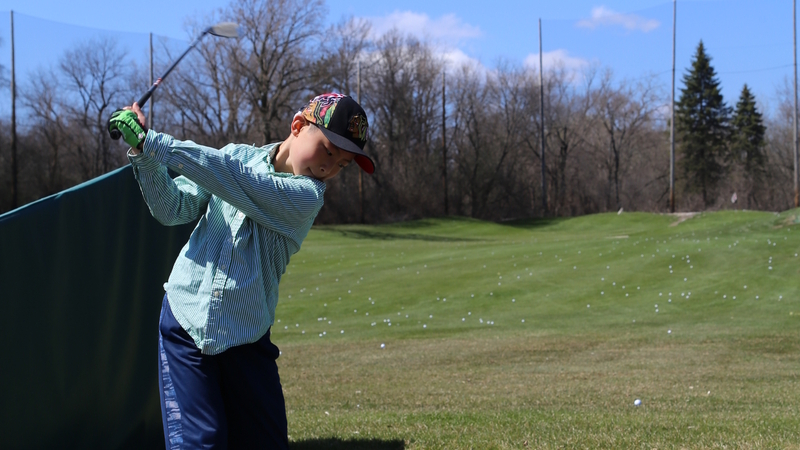 Golf 4 Kids will be held from 4:00pm to 5:30pm at Palatine Hills Golf Course, 512 W. Northwest Hwy, Palatine. For a $10 donation, participants will receive 90 minutes of access to the footgolf course, driving range, and putting green at the golf course along with one free door prize ticket and light refreshments. Raffle tickets will also be available for purchase for a wide variety of prizes donated by local organizations and businesses. Registration for the event is available online through Palatine Park District. The event is recommended for all ages from 5 years old through adults, and children must be supervised by a registered adult. Loaner clubs will be available, or participants are welcome to bring their own. Please note that strollers will not be allowed on the course. For more information about ICompete or the Golf 4 Kids event, contact Cristina Correa at 847-963-6351 or call the Partners for Our Communities front desk at 847-776-9500. The mission of ICompete is to introduce underserved families to athletics, arts, and academics by breaking down the barriers of access in order to stimulate interest, provide academic support, and increase opportunities for underserved families to participate in organized sports, clubs, or community programs. Partners for Our Communities (POC) is a group of organizations that partner together to build stronger and healthier communities in Palatine, Hoffman Estates, and Rolling Meadows by strengthening families.